UPDATED: Tue., Aug. 14, 2018, 10:18 p.m.
SEATTLE – Rashaad Penny, the Seahawks’ first pick in the 2018 NFL draft, suffered a hand injury that includes a broken finger in practice on Monday, multiple sources told the Seattle Times, and while it was unclear how long he will be out, it’s expected he will miss a little bit of time. Seahawks coach Pete Carroll is expected to meet the media on Wednesday and clarify the injury. Penny was the 27th overall pick out of San Diego State and represented only the third time Seattle has drafted a tailback in the first round, the others being Curt Warner and Shaun Alexander. Penny left Monday’s practice midway through. The Seahawks did not practice Tuesday but will be back on the field Wednesday. 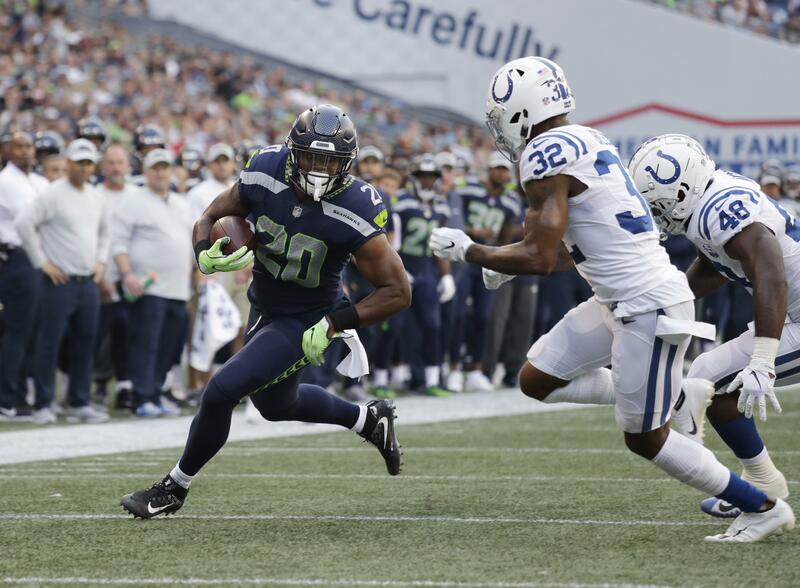 Penny had 16 yards on eight carries in his NFL preseason debut last Thursday in a 19-17 loss to the Colts working as the number two tailback behind second-year player Chris Carson. With Penny out, the Seahawks will need others to step into the backup role behind Carson. Mike Davis, who was Seattle’s leading rusher as a running back last year with 240 yards, has been listed as the number three tailback behind Carson and Penny. Davis has been thought on the bubble to make the initial 53-man roster. But if Penny’s injury were to linger into the regular season then Davis could take on a larger role. There is only one cutdown date this year, to 53, on Sept. 1 following the final of four preseason games. The Seahawks have three other tailbacks on the roster in C.J. Prosise, J.D. McKissic and recently-signed Gerald Holmes. Published: Aug. 14, 2018, 10:16 p.m. Updated: Aug. 14, 2018, 10:18 p.m.